Clean energy jobs grew nearly 12 percent faster than all other jobs in Iowa’s economy last year, and solar jobs alone grew 15 percent between 2015-2016. 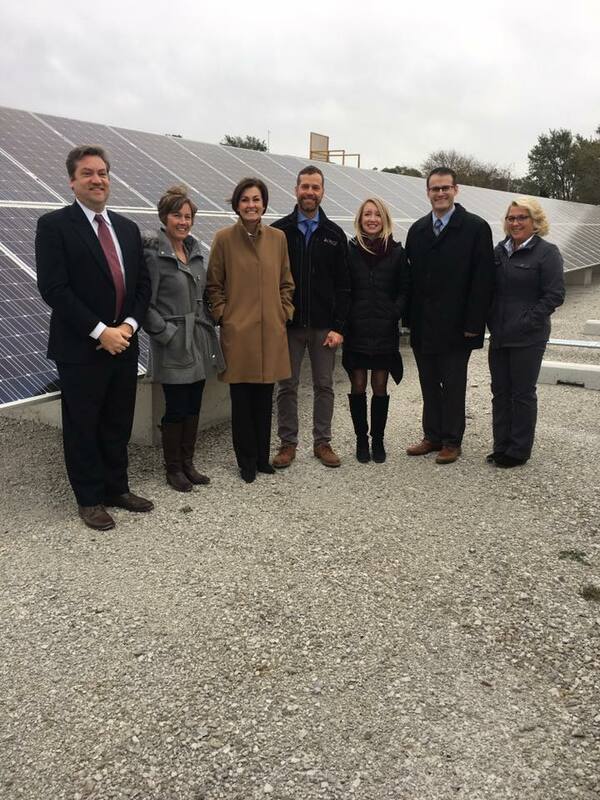 On November 1st, Governor Kim Reynolds and Lieutenant Governor Adam Gregg visited Ideal Energy in Fairfield, Iowa and met with staff and CEOs Mary Sundblad (Stuff Etc.) and Jennifer Steffensmeier (Steffensmeier Manufacturing) that have invested in solar energy and are able to use the savings to reinvest in their employees and the communities they serve. The event started with a tour of Ideal Energy and a discussion about the benefits of solar to Iowa businesses and jobs. The group then visited a solar installation located on a former brownfield site for a tour. Ideal Energy is a veteran-owned business that employs 30 people.